We live in an experience economy where information gathering, sharing, and product consumption is possible 24/7. In today’s fast-paced world, social interactions in particular happen quickly: photos are generated and tagged in real time, video content on countless topics disseminates via YouTube, and other social content is forwarded and deleted instantaneously among friends and colleagues. But few companies can deliver that to their customers today, and even fewer do it consistently. Companies that can help customers feel familiar to them will have a distinct advantage over competitors in today’s digital and highly interactive world. Customer-focused companies capture many data points about customers based on their shopping and transaction behaviors. Those data points are tied to when a customer has an interaction—positive or negative—with the company. As the latest interactions are captured, compiled, and associated to customer records, analytic algorithms begin to augment what brands know about customers. Consider this real-life consumer scenario: A 22-year-old goes online to shop the latest offerings his favorite fashion brand is preparing to share for their summer worldwide launch. As a repeat customer, he is in tune with the mobile notifications that have alerted him in recent weeks about the upcoming launch. Since he is a customer and a “premium” member of the brand’s loyalty program, he has received new teaser product reveals as to what is coming via mobile phone and email, but the anticipation of the full product line for summer keeps him counting down the days to the full reveal. Savvy brands pay attention to customers’ habits and cull meaningful insights from them. The shopper’s browsing activity online, for instance, allows the company to gauge his interest in specific products. As a result, with the help of digital tools such as Adobe and GCM, the brand can capture his shopping information and use it to serve up more relevant product content the next time he browses the website. Taking the scenario further, say the customer purchases a few items online and, when they are delivered to his doorstep two days later, one does not fit. He pulls up the brand’s website and engages in a chat session to get some help setting up a return. After a positive experience with the chat associate who makes the product return nearly painless, the shopper provides strong survey response scores back to the brand about his experience. Throughout this scenario, the voice of the customer is repeatedly heard – multiple times and through various channels - and used to improve his overall experience. This scenario showcases interactions from the customer’s viewpoint, but the company’s perspective is equally as important. As each customer interaction occurs, an activity record is created and stored within the company’s data ecosystem. Here the data is processed and linked to existing data about the customer, enhancing insights that can be generated from this customer’s recent activity. Customer insights could include products purchased, prices, device used to purchase and purchase channel. A retail client of ours uses the type of product purchased as a key insight in driving how the brand communicates with customers in future marketing efforts. Future one-on-one personalized digital engagement is based on products already purchased and how consumers navigate the product website when shopping. Technology to help brands in this realm keeps evolving. With advanced one-on-one multichannel personalization engines like Evergage, which incorporates artificial intelligence into product displays, product rotation can occur while a customer is shopping. It’s a very dynamic experience for the customer and makes him think, “They really know me and what I like.” This personalized one-on-one experience is becoming the expectation for digital web consumers today; companies that don’t embrace it risk losing customers. 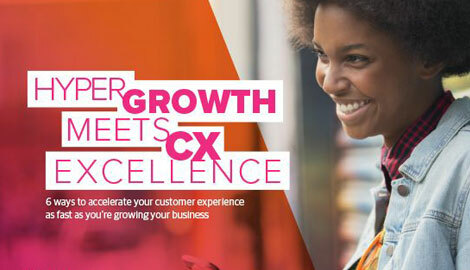 In today’s experience economy, where attention spans are short and distractions are many, it’s critical to connect one on one with customers on their preferred channels. Capturing every interaction on a customer’s digital journey can really enhance insights for companies striving to offer customized experiences. Companies that do this successfully will improve their chances for longevity and increased, positive brand recognition; those that don’t will struggle to remain viable and relevant.